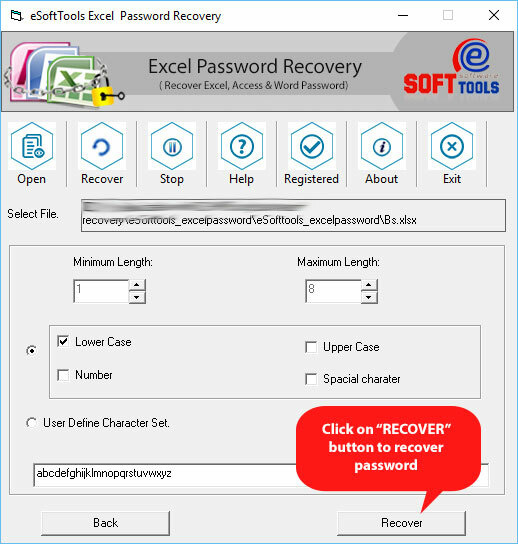 If you have forgot your Microsoft Excel file password and need to restore it, eSoftTools Excel password cracker gives you option to crack Excel password and recover Excel file password wonderfully. 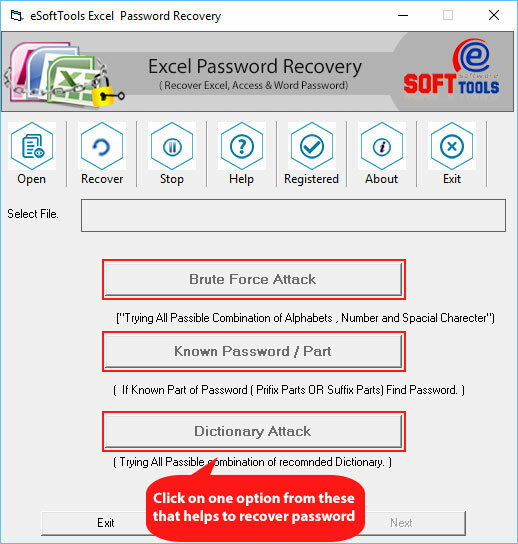 Program of Microsoft Excel password cracker tool has great techniques to crack password from Excel file and recover XLS, XLSX file password without any damages. It’s time to restore Excel password and open Excel file password with whole versions of Excel file including latest versions. 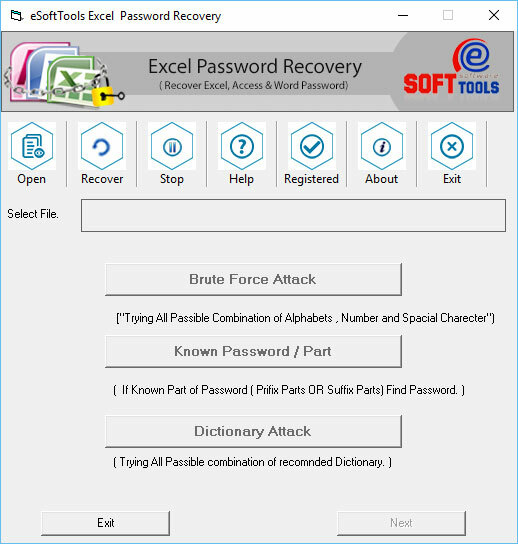 eSoftTools Excel password cracker tool is the nice solution that provides best and safe recovery Excel file password. Excel workbook password cracker program has great ability to know how to crack MS Excel password with xls, xlsx, xlsm, xltm, xla, xlam, xlsb files. 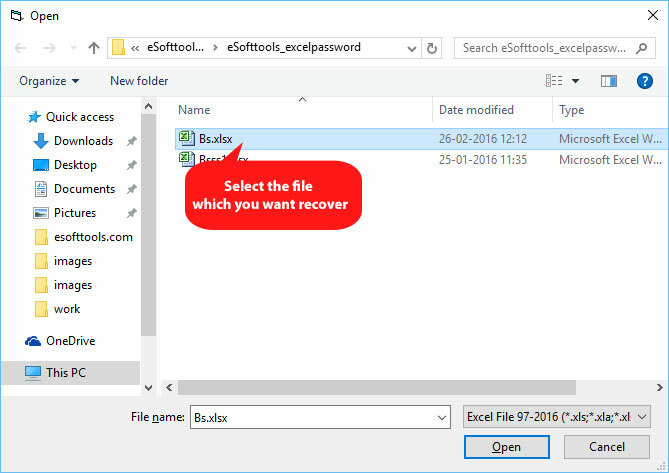 XLSX password cracker stands for cracking Excel password and recovering Excel password without any difficulty. If you are having any kind of problem and need help regarding software, just take help from our technical support that will gives you assistance regarding tools. 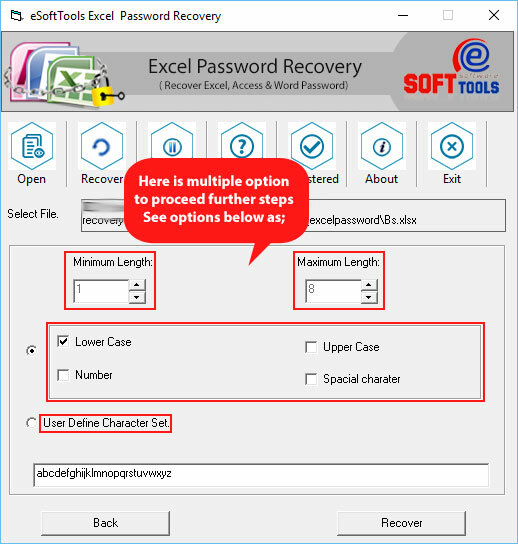 Has your software work for recovery special character of Excel password? 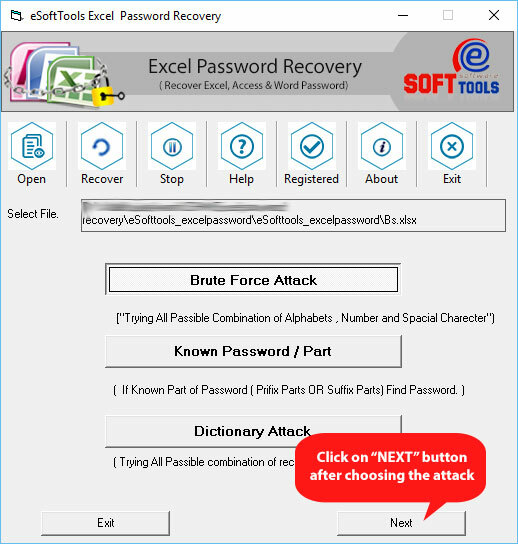 Yes, if you need to recover special character of Excel password, do choose “BRUTE FORCE Attack” option that helps you to recover password from Excel file. I know some characters of my Excel file password, so what kind of option I have to choose while using this software? If you know some characters of Excel file password, so choose “known password recovery” option that will made just for those users who already knows some values/ characters of their password. I have 2016 Microsoft Excel file which is locked with heavy password and I don’t know what is the exact password, so can this software remove 2016 Excel file password? Yes! 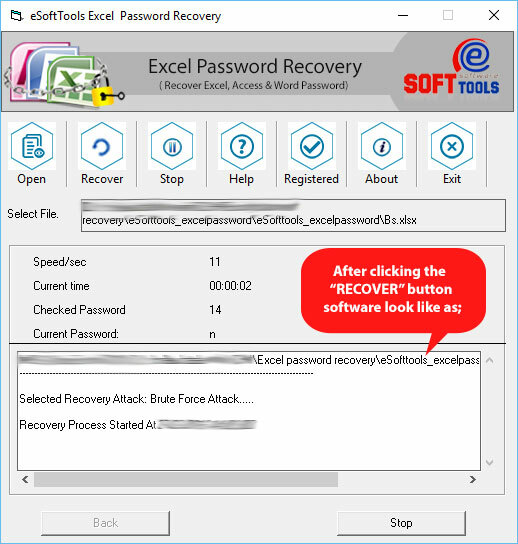 This software can remove and recover 2016 Microsoft Excel file password in perfect manner. I am using Win10, has your software works on it?